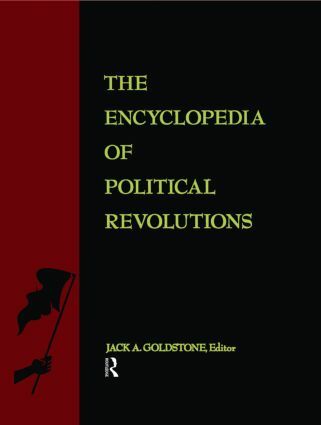 The Encyclopedia of Political Revolutions is an important reference work that describes revolutionary events that have affected and often changed the course of history. Suitable for students and interested lay readers yet authoritative enough for scholars, its 200 articles by leading scholars from around the world provide quick answers to specific questions as well as in-depth treatment of events and trends accompanying revolutions. Includes descriptions of specific revolutions, important revolutionary figures, and major revolutionary themes such as communism and socialism, ideology, and nationalism. Illustrative material consists of photographs, detailed maps, and a timeline of revolutions.